We’re delighted to have Linda Karl back as a guest instructor for this exciting new workshop! Midlife in America is changing. Men and women from the ages of 40 through 70-something are becoming more aware of the lifelong benefits and represent the largest population growth segment for yoga. Prime of Life Yoga® is for those who want a yoga somewhere between a fast vinyasa flow and chair yoga. POLY offers an accommodating approach to yoga covering everyday biomechanics, management of common aches and pains and stress reduction. This breath-centered practice includes meditation and emphasizes practicing yoga according to one’s individual needs and capacity rather than achieving a perfect form. The postures used in this style lend themselves to various levels of challenge, making them accessible to practitioners at a broad range of levels. This workshop will cover discussion, yoga practice, guided pranayama (breathwork), and meditation. Please pre-register to let us know you’ll be attending! (Yoga teachers registered with the Yoga Alliance can receive 2 hours of CEUs). Instructor Linda Karl began teaching in 2002 and is a Certified Yoga Therapist with the International Association of Yoga Therapists. She is the only Prime of Life Yoga® teacher in Illinois and also holds certificates in teaching Therapeutic Yoga for Seniors (Duke University) and Trauma Sensitive Yoga. Linda spent 10 years studying at the prestigious Krishnamacharya Yoga Mandiram in Chennai, India and is considered a senior teacher in that yoga tradition. An innovator and a facilitator of deep holistic healing, Linda teaches “Mindful Yoga” and believes in the therapeutic benefits of yoga + breathwork + meditation properly applied to the individual: yoga for everyone, yoga for everyBODY. 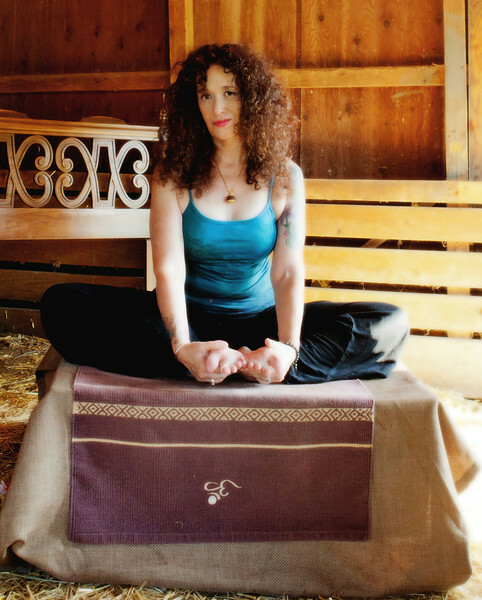 For more information about Linda, visit her site, Metta Yoga: Mind-Body Education. This entry was posted in Publication, Yoga, stretching, Osteoporosis, Women's Health, Men's Health, Meditation, exercise and tagged meditation, yoga, exercise, breathing, education, yoga workshop, prime of life yoga, linda karl, midlife, biomechanics, wellness, pranayama. Bookmark the permalink.